Have you been injured at work or unable to work due to an accident? Our personal injury lawyers are down to earth, compassionate, and offer a NO WIN, NO FEE policy. We help you claim the compensation you deserve and remove the stress associated with upfront legal costs. We put a lot of thought and compassion into handling your ​case as we know how difficult it is sustaining an injury. Our dedicated lawyers and thorough approach, ensures you receive ​fair​ ​compensation. Below is a list of frequently asked questions surrounding workplace injury and laws. SCB Legal removes the worry and uncertainty by taking care of the legal matters, so you can ​​focus​ ​on​ ​your ​healing. Lawyers in Sydney are asked many questions about processes, protocols and procedures regarding personal injuries. Personal injury deals with a vast number of areas but they all have something in common. These injuries affect a person’s well being, specifically a person’s body, mind or emotions. To make the process as easy for you as possible, we compiled a list of commonly asked questions. Permanent disability is covered under superannuation insurance and other bylaws. Making sure you’re compensated for any injuries you might have sustained at work. Encouraging a process that will make workplaces safer for workers and employers. Allowing those with personal injuries compensation for medical treatments and rehabilitation instances where they are entitled. Giving fair rulings in disputes over personal injuries. Ensuring that people who might be relying on your income in order to live, (for example, your family) are compensated in the event of your death. Any or all of these groups can be involved if you’re injured at work, or suffer a personal injury. The nature of the claim and the compensation you receive is calculated with consideration to the injuries themselves, as well as the context in which they occurred. Settling a personal injury claim can be a difficult process to navigate, as there are many factors that are specific to your case and the nature of your injuries. We can help you with your personal injury settlement, as with SCB Legal, it’s NO WIN NO FEE! This means that if your claims’ case isn’t won (settled in your favor), you won’t need to pay the lawyer handling your case for their services. This policy means that you can start the legal procedures with peace of mind. How can I receive compensation for my injury or accident? As a result of a transport accident including motor vehicle, motorcycle, train, etc. While at work or over the course of your employment – often covered by WorkCover or Workers’ Compensation and Occupational Health and Safety. As a result of medical treatment. Through the use of a defective product – part of product liability. As a result of a criminal act – this falls under Victims of Crime Compensation. Due to workplace discrimination, including unfair dismissal. Due to sexual abuse or harassment. What types of claims exist? The manner in which you sustained your injury and the circumstances surrounding it, grants you certain rights and entitlements. This is especially the case if the injuries are likely to cause ongoing or permanent impairments or medical conditions. The right to claim compensation for your actual injuries requires you to prove that the injury meets a certain threshold level. Thresholds change depending on the type of claim and injury (psychical or psychological). All of the circumstances surrounding your injury will impact the type of claim you’re entitled to make. What is the process for filing personal injury claims? There are so many avenues for which compensation claims can be sought and obtained that it can be overwhelming to work out how to start the process. The type of injury or accident you have sustained will determine how your case will be handled by the Court most suited to your needs, or by an administrative body/authority operating specifically for the purposes of your claim. For example, The Motor Accidents Authority (Now called SIRA – State Insurance Regulatory Authority) addresses motor vehicle accidents, whereas WorkCover oversees accidents that occur at work. In order to make a compensation claim for an injury, you must provide evidence that supports your claim. For example, you need to prove that you have lost income due to the injury, need medical treatment or may incur additional pain and suffering. What workplace Injury Laws exist in New South Wales? There are a number of laws, regulations and acts that govern New South Wales and have been created to make the workplace a safer environment. In addition, ensuring that if you’re ever injured at work, you will have the means to recover quickly and be compensated for time spent away from work. All workplace injury claims are assessed and processed by the WorkCover Independent Review Office (WIRO). If the worker meets the whole person impairment percentage (WPI), WIRO will compensate them for medical costs, weekly expenses and pain and suffer via a lump sum payment. Once WIRO makes a decision on a claim, the decision is binding and unable to be revoked or appealed. 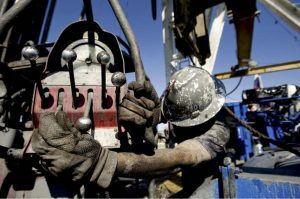 If the injured worker is impaired due to their employer’s negligence regarding following and installing safety procedures in the workplace, the worker is the entitled to take the case to court. The law requires that your employer keeps a registry of all injuries and accidents that occur in the workplace and log the details into this registry. As an employee, you have the right to access this register, review your injuries, as well as view the details that were logged in the registry. It’s illegal for an employer not to keep a registry. There are numerous resources and templates available, including the SafeWork NSW Illness Template​. ​ ​Taking ​​this​ ​action ​is​ ​necessary​ ​to ​keep ​​you ​and ​your​ ​colleagues​ ​safe ​at ​work. Has your workplace created a personal injury register in the event of an accident? Workplace injury compensation is available for a number of claims that qualify for entitlements and meet the requirements for compensation. Other non-physical injuries occur in the workplace. These include workplace bullying, sexual harassment and similar injuries to which an injured worker is afforded compensation. A process exists for making a claim regarding bullying and harassment in the workplace. Sexual harassment and discrimination does not fall under the ‘bullying in the workplace’ category, as it is considered a much more serious offence. Are You The Victim Of A Crime? Contact Us Today, So We Can Address Your Concerns Quickly! If you are the victim of workplace bullying, keeping a record of each incident as it occurs will help you when making a claim. You should record the date, time and location of the incident and any​ ​witnesses​ ​that ​may​ ​be ​​able ​​to ​substantiate ​your​ ​claims. A worker should always try and resolve any issues via management, such as via a safety representative or human resources manager. Managers should follow up your claim and aim to find ​​a​ ​resolution ​for​ ​the ​​situation. If you feel that your workplace isn’t addressing your claim of workplace bullying appropriately, you can take further action with the help of a third party such as the ​Fair Work Commission​. This organisation ​​aids​ ​victims​ ​of ​ ​workplace ​bullying and ​helps​ ​find ​ ​appropriate ​resolutions. Stop the incidents – this can include monitoring your workplace or ordering your employer​ ​to ​review​ ​their​ ​workplace ​​safety​ ​policy. If the instances of bullying or harassment still continue, there is the option to take court action. Sexual harassment occurs when a person is subjected to unwelcome sexual conduct in circumstances used to offend, humiliate or intimidate another person. Unless an employee can prove they took all reasonable steps to prevent the sexual harassment from occurring, they can be held liable, irrespective of whether that person is a manager, supervisor or other employee. It is illegal for you to be victimised after launching a sexual harassment claim. Being victimised occurs when a person is threatened or placed at a disadvantage in the workplace due to making a complaint. An employer may also be held liable for the victimisation of an employee by any other employee within their organisation. In some cases of sexual discrimination, a complaint can be made with the ​Australian Human Rights​ ​Commission. If you believe you are suffering psychological harm or work stress due to an incident at work (for example, bullying, exposure to violence, sexual harassment or work overload), there are a number of options available for claiming compensation. Provide acceptable medical evidence that you’re suffering from a psychiatric or psychological disorder as a result of your job. Merely providing a medical certificate claiming ​that ​you ​need ​time ​off ​work​ ​due ​to ​‘work​ ​stress’ ​ ​is​ ​insufficient. Be assessed properly by an accredited specialist (depending on the type of injury for which you are claiming, this specialist must be specifically trained to assess these types of injuries). This assessment must also prove that your psychological injury impairs at least 15% of your ‘whole person’ in order for compensation to be payable. Are You The Victim Of A Sexual Harassment Incident At Work? Let us help you ‘right a wrong’, so you receive the compensation you deserve! There are a number of steps required in order to apply for worker’s compensation through WorkCover. Tell your employer about your injury or illness. This includes recording all the information in your employer’s register of injuries, such as where, when and how it happened. Visit a doctor and receive a WorkCover certificate of incapacity. Provide all relevant documents (completed incapacity and worker declarations) and attach ​​receipts​ ​for​ ​any​ ​treatments​ ​you’ve ​received ​​that ​​relate ​​to ​the ​​injury. Ask​ ​your​ ​employer​ ​to ​​notify​ ​their​ ​workers​ ​compensation ​​insurer​ ​to ​begin ​​the ​​process. Your employer is required to let WorkCover know of your injury within ​48 hours. You will usually start receiving provisional payments without submitting a WorkCover claim form. If you don’t receive provisional payments within 7 days of your employer notifying their insurer, you should contact ​WorkCover​ ​to ​rectify​ ​the ​situation. If a person is injured at work, they are able to pursue damages against the party whose negligence or other wrongful act led to the injury. In order to claim damages, the worker must have sustained a permanent impairment of at least 15%. A worker can claim for loss of earning capacity, however they will only be paid any earnings they’ve lost in the past and any future loss incurred as a result of the impairment. If a workplace related injury claim is in dispute, it is addressed by the Workers Compensation Commission (WCC). The process for resolving a work related injury dispute is reliant on the type of claim that is in dispute. In both cases, a worker needs to lodge an application to resolve the dispute regarding their claim and the employer will then need to lodge their response. If the dispute relates to the degree of permanent impairment caused by the injury, the worker must first be assessed by an Approved Medical Specialist. A decision will be made based on this assessment and the case will then be closed. For most other types of claims (i.e. liability for permanent impairment, weekly payments, medical expenses), both parties must participate in a telephone conference run by an Arbitrator. If the matter is still unresolved, both parties must attend a conciliation conference and a decision is then issued. The conference is a face to face meeting for anyone involved in the dispute and the arbitrator will advise who else should be in attendance. During conciliation, it is important that every effort is made to facilitate the parties arriving at an agreement and settlement. If the conciliation conference does not settle the dispute, it advances to a more formal phase known as an arbitration hearing. This happens on the same day as the conciliation hearing, after a short break. The arbitrator will summarise what has occurred and assist all parties in arriving at an agreement on the summary of the issues still in dispute. During the hearing, the arbitrator will make a legally binding decision about your dispute and will issue a Certificate of Determination and a Statement of Reasons. These documents will inform about the final decision and an explanation, as to how the ruling was reached. These documents then officially close the matter. How​ ​Can ​​I ​​Receive ​Provisional ​Payments? Provisional payments are made by your employer’s insurer where there has been a loss of earnings. Payments are paid weekly, while your claim is fully assessed. These ensure you are still able to pay your expenses, as well as any necessary medical expenses. Medical payments up to $7,500. The provisional payments extend based on the amount of ​​time ​​required ​for​ ​the ​​insurer​ ​to ​make ​a ​​decision ​on ​liability. If an insurer has a reasonable excuse not to pay the provisional payments, they are required ​to ​​notify​ ​you ​in ​writing ​as​ ​to ​the ​reasons. Information and advice on how to make a claim. This new claim will be determined within 21 ​days​ ​of ​being ​received ​by​ ​the ​​insurer. ​What Is​ ​A ​​Certificate ​Of ​Capacity? Help your employer provide you with suitable employment while you are recovering andhelp ​​provide ​you with ​the ​necessary​ ​support. Create an injury management plan, (if required) as well as help you and your employer decide on which treatments, rehabilitation and retraining will be required in order for you to ​return ​to ​​work. The nominated treating doctor is responsible for completing their part of the certificate and must include a clear medical diagnosis and the necessary medical terminology. Capacity – If the doctor certifies that you are able to work, they certify you as having capacity. Are You Seeking Guidance And Advice About Your Personal Injury Case? We can help you achieve the best possible outcome for your personal ​​injury​ ​settlement. Do I Need To Provide A Personal Injury Statement? If YES, What ​Do ​I ​Need ​To ​Write? You need to provide a personal injury statement in order to claim personal injury compensation. It’s​ ​important ​​to​ ​note​ ​that​ ​the ​ ​sooner​ ​you​ ​do ​this, ​the ​better. ​What ​Appears​ ​On ​The ​Personal Injury​ ​Report Form? If driving a vehicle is one of your main work activities and you are claiming for a motor vehicle injury, you need to include the number plate of any vehicles involved, the time and ​​date, as​ ​well ​as​ ​the ​cause ​​of ​​the ​​accident ​​and ​nature ​​of ​your​ ​injuries. This document will assist the ​Workers Compensation Independent Review Office in assessing your work injury claim. It informs the insurer as to what’s occurred, as well as what you’re entitled ​to ​claim​ ​and ​ ​receive. Unfortunately, dust diseases aren’t considered unless they were developed many years ago, or you ​work​ ​in ​the ​mining ​industry. The ​Dust Disease Tribunal is a court that manages claims for dust diseases andhas special allowances. This include being able to claim for illnesses caused by dust disease long after the person came ​into ​contact ​​with ​the ​dust. An example from the “Other” category are miners, who may have developed dust diseases in the ​​mines​ ​due ​​to ​the ​nature ​of​ ​the ​work. Diagnoses are often found long after the onset of symptoms. The Dust Disease Tribunal acknowledges the severity of these diseases and will work to accelerate the claims process due to the rapid progression of these illnesses. If you are suffering from such a disease, please contact us. Our compassionate lawyers understand the impact of illnesses caused by dust disease, and are more than willing to help you receive compensation for the deterioration of your health. For example, a customer could slip on a spill at the supermarket and decide to sue the supermarket for breaking their leg. Public liability claims are made by the injured person or party to the company or government department that was negligent and did not ensure all safety measures were secured on their premises. Often claims can be settled between the parties, by the party at fault agreeing to compensate the injured person. If a settlement is unable to be reached via negotiations, the case proceeds to Court. If you are injured in a public place, please contact us as soon as possible. Strict time limits exist for public liability claims, so commencing a prompt claims process, ensures your best chances for success. Our expert personal injury lawyers will advise you as to the process. Our NO WIN, NO FEE policy affords the very best circumstances under which your case can be settled. Product liability claims are made when a defective product causes injury to one or more people, or the manufacturer has failed to install all safety measures on the product. Let’s use the example of an electronics company that tests the amount of heat a battery-powered device can produce to highlight the point. The company needs to ensure that in every conceivable scenario, the device will not cause burns or injury to the user. If the product manufacturer acknowledges the product is faulty and you have sustained injuries due to this, you must be compensated for the agreed upon sum. If they do not agree to pay this sum, you have the right to seek Court proceedings to settle the matter. Motor vehicle accidents are sustained on busy NSW roads on a daily basis. It’s important to note that if an injury happens to you on the road, there are claims that you can make in order to receive compensation for your injuries. If you are injured due to someone’s negligent driving, the process of making a claim takes several ​factors​ ​into ​consideration. What To ​Do ​If ​You’re In ​An ​Accident, ​But ​Uninsured? If you’re involved in a motor vehicle accident and you’re uninsured and not at fault, there are steps you can take to have your damage repaired. All vehicle owners are required to take out a CTP Green Slip before they can register their vehicle. This is a compulsory insurance, required not only in NSW, but Australia wide, which is taken out for either a 6 month or a 12 month period. However, if does offer some compensation for people involved in the accident. If the insured driver caused the damage to your vehicle (or part of the damage) and you are claiming up to $3,000 in damage, you can lodge a third party uninsured dispute with the Financial Ombudsman Service (FOS) against the insured driver’s insurance company. The FOS is an alternative to court and may help avoid additional court fees in some circumstances. Any court proceedings are put on hold until the FOS investigates the dispute with the insurance company. In some circumstances, you may need to commence Court proceedings to recover the damage. Your first option should always be to write a Letter of Demand and only if this fails, should you consider the other avenues to have your monies recovered. ​How ​Can ​A ​Personal ​Claims​ ​Lawyer​ ​Help Me? Your chances of winning a lawsuit are far greater when you engage a personal claims lawyer with ​experience ​in ​​this​ ​field. Our personal injury lawyers are highly seasoned in personal injury lawsuits, and have won numerous cases that have made a difference to the lives of those injured. We have a passion for helping others and our empathy, care, and down to earth nature is always evident in our work. This is what makes us unique, leaders in our field and factors into each and every case we ​handle. ​How ​do ​I ​find ​the ​best ​personal ​injury ​attorney​ ​for​ ​my​ ​case? Look for an attorney that is not only an excellent lawyer, but a fantastic human being. Our Sydney lawyers are the best in the field because we truly care about you and will do our utmost to care for your case and do what’s in your best interests. We treat everyone with respect and care, irrespective of their background, financial standing and whether they can afford normal legal ​ ​fees. SCB lawyers have compassion and empathy for others. We look at your case from our own professional legal perspective and from your standpoint as the injured worker. This combination of skills and experience, together with our down to earth, compassionate and human nature, has seen us win many cases in the Sydney CBD courts. We are committed to doing everything in ​​our​ ​power​ ​to ​ensure ​that ​​we ​help ​you ​win ​yours. ​Can ​you ​help ​me ​file ​a ​personal ​injury ​lawsuit? We’ll do better than that and file the lawsuit for you. Navigating the law can be difficult for those who haven’t devoted years of learning and expertise in the field. That’s why we focus on a down-to-earth approach with all legal matters that we handle for our clients, and is why our clients​ ​trust ​us​ ​implicitly. Our lawyers are regularly seen at the Sydney CBD courts helping clients just like you, achieve the desired outcome. We’ve filed a number of personal injury lawsuits, so rest assured, your matters​ ​are ​​safe ​with ​​us. We are here to help, in the very essence of the phrase. We are open, honest, caring, and informative, a winning combination that has seen us excel, and resulted in our clients being better​ ​off ​ ​than ​ever​ ​before. ​What ​ ​are ​ ​typical ​ ​personal ​ ​injury​ ​settlements? Personal Injury Settlements can be anything from a simple, straightforward process, to a difficult, back-and-forth scenario between the organisations involved. We’ve encountered the full spectrum of cases; from spending days at the Sydney CBD courts to a matter being resolved within ​a ​few​ ​days. Being Injured Turns Your Life Upside Down. 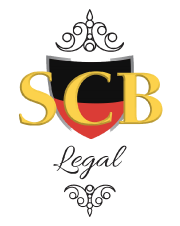 Discover how SCB Legal’s personal ​​injury​ ​lawyers​ ​can ​help ​you ​receive ​fair​ ​compensation, ​with ​NO ​WIN​ ​NO ​FEE ​services!